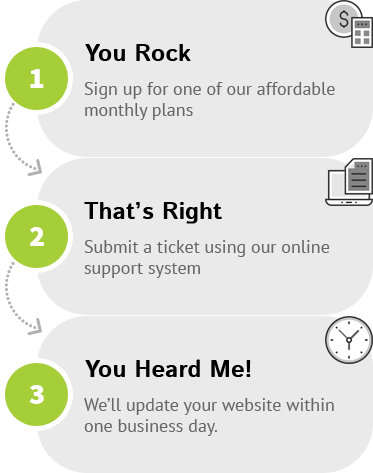 Proactive Website support, maintenance & optimization. Starting at $89 a month. Make managing your Websites easy. Once you pay for a Zoing.ly membership AND give us log in credentials to your website, you’ll get access to a dashboard where you can submit support tickets and request changes to the Website associated with your zoingly! account. Rinse, lather & repeat as necessary! Our world class developers work on every Website platform in the current market. Each member of our teams is chosen for their abilities, talents and love of the work we do. If it’s a Website, we can work it. How can zoingly improve your website? If it’s a Website, we can fix it. Here are our most requested services. Request an SEO audit and get a detailed report on how to optimize your website. Add new sections to your site, build a landing page or publish a new blog post. Get more email subscribers with optimized forms and auto-responders. Make sure your website never skips a beat with regular backups. Fix theme conflicts, keep plugins running smoothly and update core Website files. Looking to add functionality to your site? We’ll vet the plugin and make sure it works like it should. Let us lock down your Website with best practices security protocols. Keeping your site up to date is important. zoingly will keep all of your plugins and core files up to date. Let our team install a suite of social sharing tools to increase your social engagement. Track key performance indicators and monitor your most valuable metrics at a glance. Reduce bounce rates, improve site performance and increase engagement. Don’t worry, we’ll send you regular suggestions on how to improve your website. Here at zoingly! we pride ourselves on delivering the best Website service and support possible. 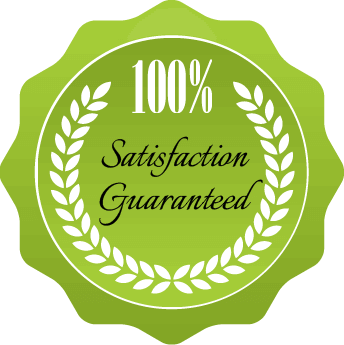 So much so that we back all of our work with a 30 day 100% Customer satisfaction guarantee! Our company is not big enough to have a full time development team on staff. We do however need to make constant changes to keep things up to date on our website. zoingly! makes that process super simple. I cannot recommend their services enough. zoingly helps my inspirations come to life with easy to submit, quick turn around and helpful, patient, kind staff. Their service allows me to focus on what I love and do best, trusting they are behind the scenes keeping my site secure and updating it just how I want it. Learn to be more Productive, Improve your Website, grow your business, increase traffic, and make better content marketing. All this for Free by joining our zoingly! Newsletter.